Wow....I didn't realize how long it's been since I've posted to this blog! We've been very busy at ~Fashion Sewing Supply~ selling yards and yards of our exclusive interfacing and other products, and of course I've been up late sewing shirts for my clients! This tunic, made from cotton/lycra knit with an inset of woven cotton print is a "tweaked" version of an Ottobre Design pattern. The jeans with decorative seams are of my own design and made with a glorious cross-weave denim from Gorgeous Fabrics. This "mod" tunic was made from fabulously soft jersey from Gorgeous Fabrics, and wide wale corduroy from a chain fabric store. The Tunic design is a "tweaked" version of an Ottobre Design Pattern. The jeans in this pic and all the others are from a pattern I drafted myself. 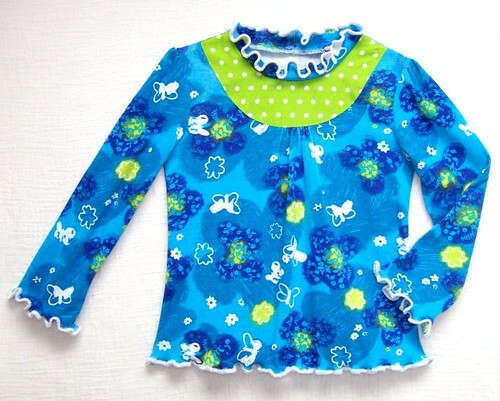 This simple little cross-over Top is made from soft cotton knit fabric found online. The only change made to the Ottobre Design pattern used, was adding lettuce-edge ribbing to the neckline. The Top with metal eyelet twill-tape trim is made from super-thick black cotton velour. 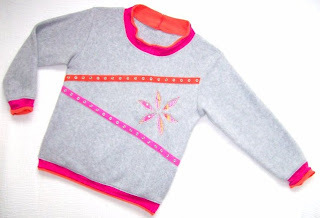 It has a mock-turtleneck, and was made from a basic Ottobre T-shirt pattern. The elastic-back jeans are fashioned from wonderful stretch-corduroy from Trendy Fabrics...found there at a super low price! 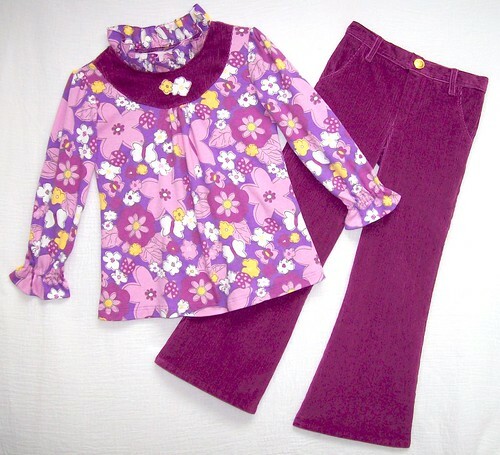 Made from another fabulous fabric find from Trendy Fabrics, this cute berry print stretch corduroy top is a variation of an Ottobre Design pattern. 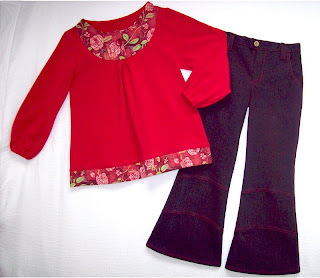 Matching berry corduroy, again from Trendy Fabrics made up into super-soft jeans. 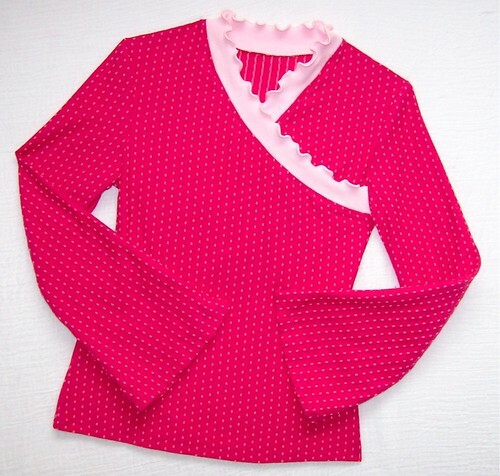 This variation on a classic peasant blouse is an Ottobre Design....made from yet another fabulously soft stretch corduroy from Trendy Fabrics! Can you believe I had this cute fabric in my stash for years? I really like the way my variation of an Ottobre Design pattern turned out...so bright and happy! I think I have every fabulous stretch corduroy that Trendy Fabrics has in stock this season! This time the print stretch corduroy matched perfectly with the stretch velour used for my "tweaked" version of an Ottobre Design pattern. 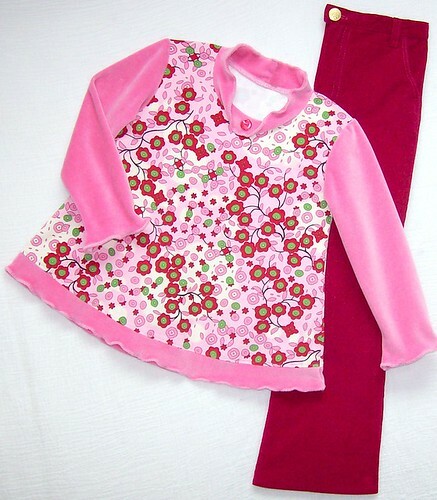 Fleece from a chain fabric store is used in this variation of an Ottobre Design pattern. My variation features a double-lettuce ribbing neckline. 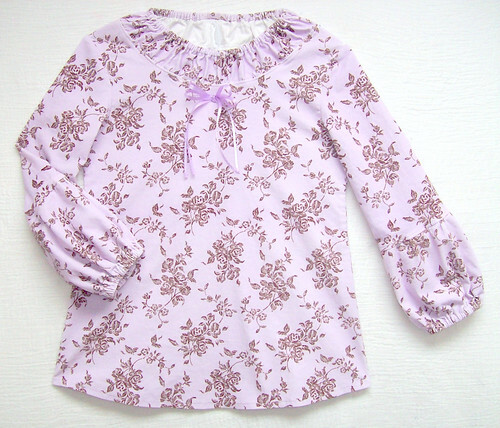 Plum stretch cord and a cute butterfly cotton interlock both from Trendy Fabrics makes a fun outfit. 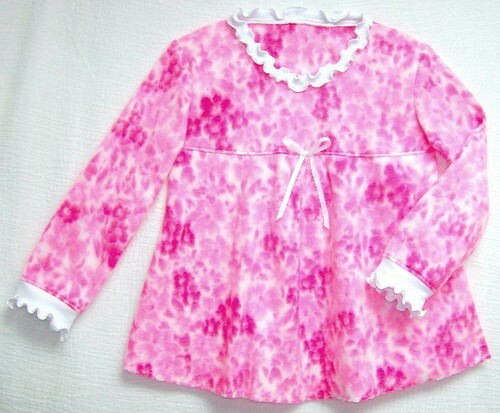 Again, this tunic top is a variation of a "tweaked" Ottobre Design pattern. 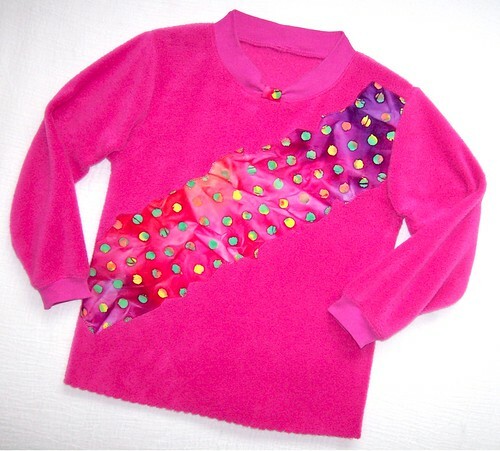 Bright cuddly fleece from a chain fabric store plus a basic Ottobre T-shirt pattern makes a very fun shirt with a jagged-edge batik applique. 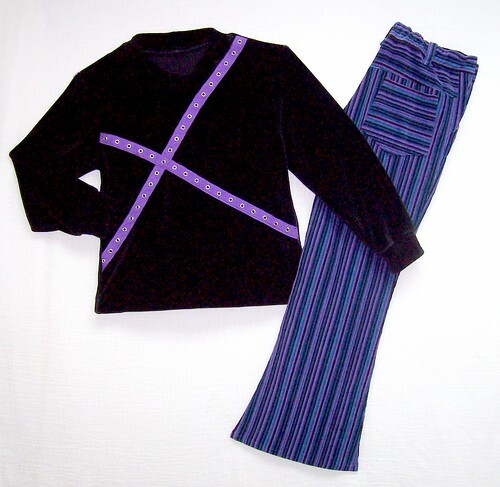 Another fleece top with raw-edge strips of fabric used at neck and hems that also features eyelet trim.